Come to this exciting event where you can promote your business products & services to two markets. An opportunity to have an exhibit table at no cost (members 1st priority), limited space, please call ASAP. Take advantage for a limited time, bring (also available at the event) your membership application to validated and join at no cost, a $250.00 regular price value with many benefits. 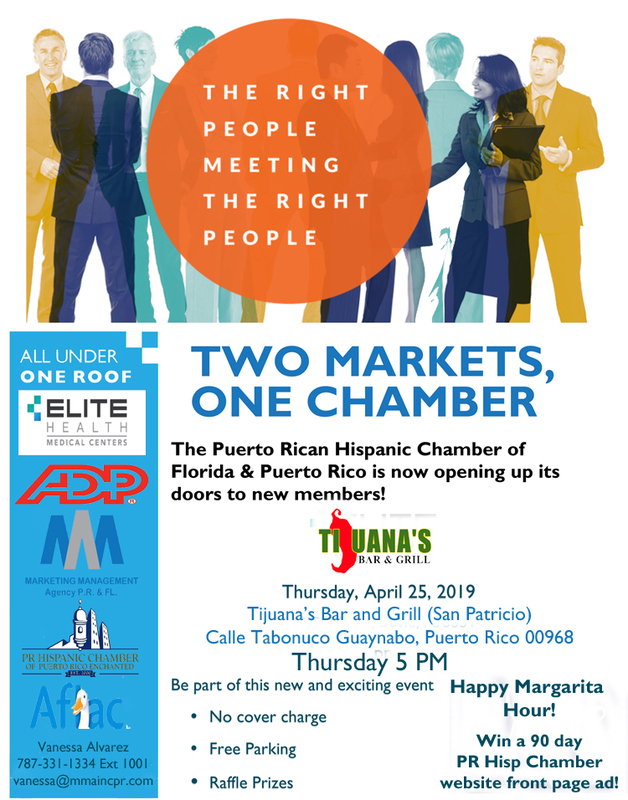 These events are taking place at the markets simultaneously, Florida & Puerto Rico and you will have the opportunity to address both audiences, PR & FL by technology. A raffle with prices of over $1,500.00 in value. Paga tu Bono sin que te cueste!